I would like to share with you the UPDATED LIST of videos of aircraft and air vehicles spotted over Syria from the beginning of the Syrian uprising till today. 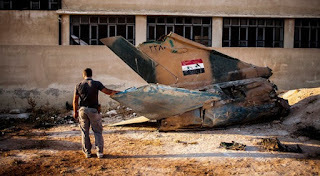 Again, this LIST doesn't include transport and attack helicopters like Mil Mi-8/17/25 due to the unlimited videos available for them over YouTube. Few photos for SyAAF MiG-21's of different variants been collected from web and gathered to be posted here. 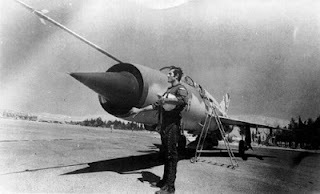 Starting with a MiG-21MF with four AA-2 Atoll missiles fitted on, might be photographed in Dhmeyr AFB (note the angular shape of HAS). 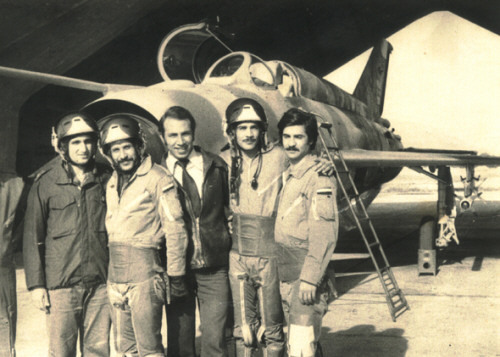 Another MiG-21MF with serial 1549 photographed in Dhmeyr AFB, this time with the Syrian hero Majeed Al Zughbi who claimed Seven air victories against IAF. 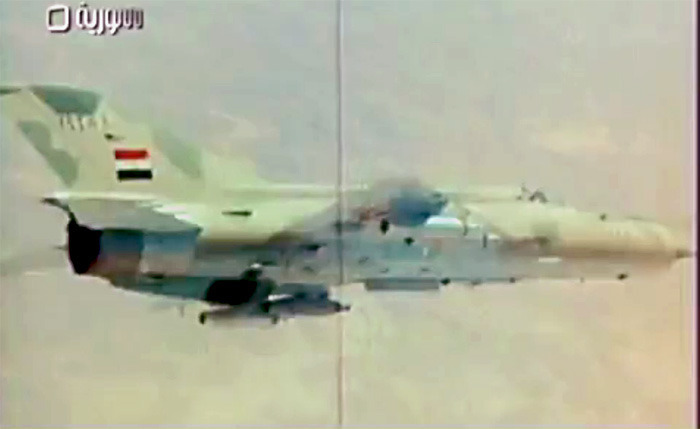 Another still for the same MiG-21MF. 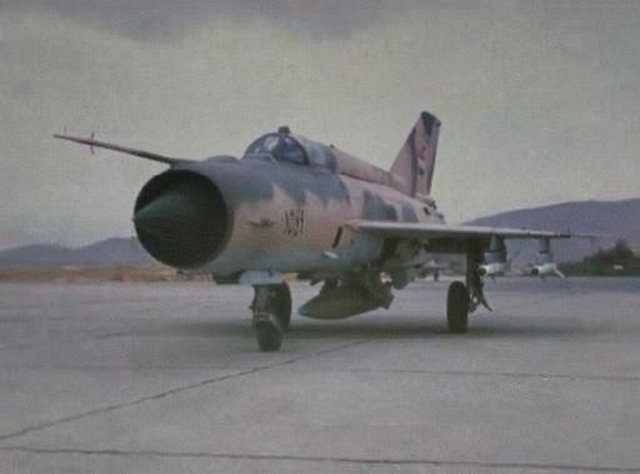 A still for MiG-21 could be an 'M' variant as it carries the serial 19xx (a batch was delivered from East Germany shortly after the 1973 war) extracted from a media, referring to the old Syrian flag at the fin, it means this was videoed in late 1970s. MiG-21MF with serial 460, also in display at the entrance of Al Tabaqa AFB. 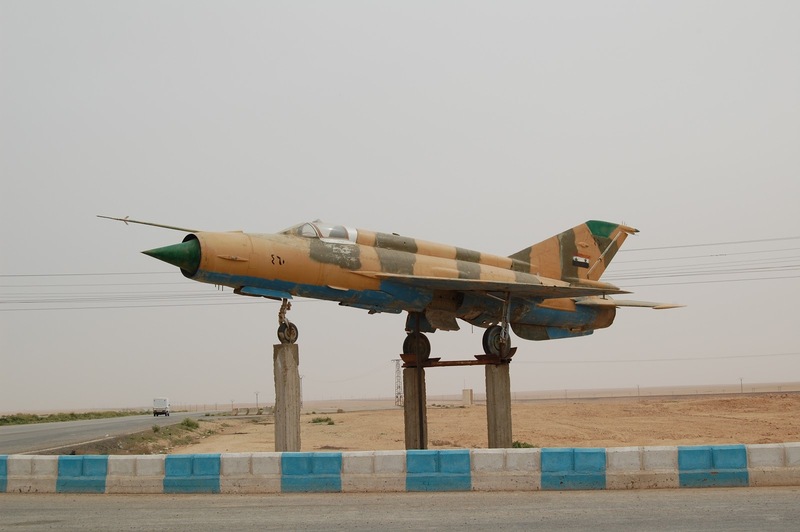 MiG-21PFM in a roundabout in Aleppo city. A man examines the wreckage of a downed MiG-21bis with serial 2280 in Abu Dhour town. 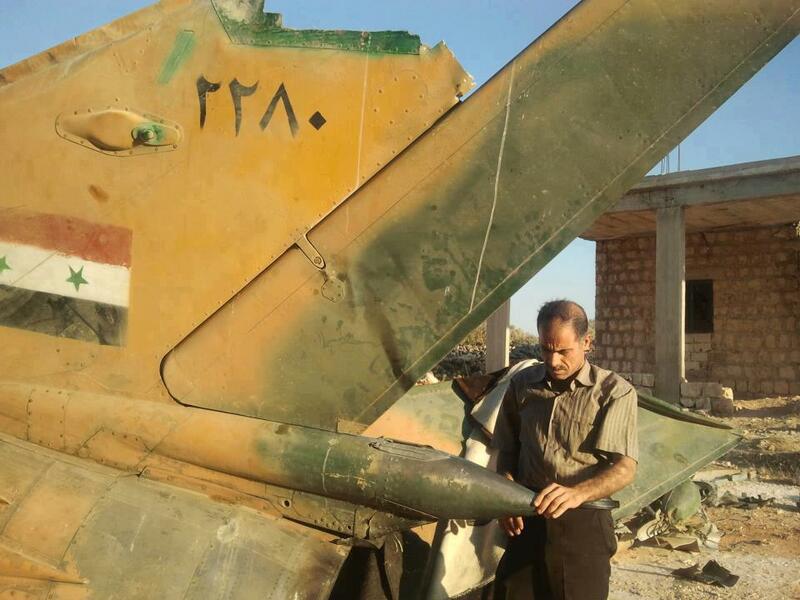 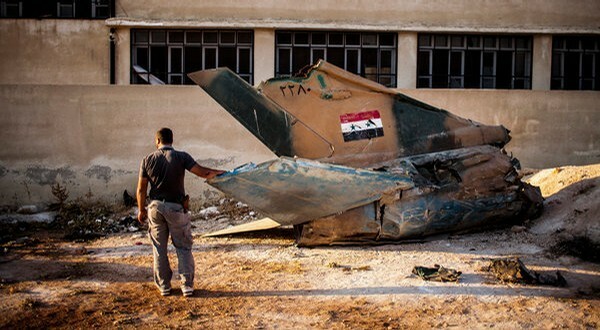 Another photo for the remnant of the same MiG-21 which was downed in September 2012 after it just took off.